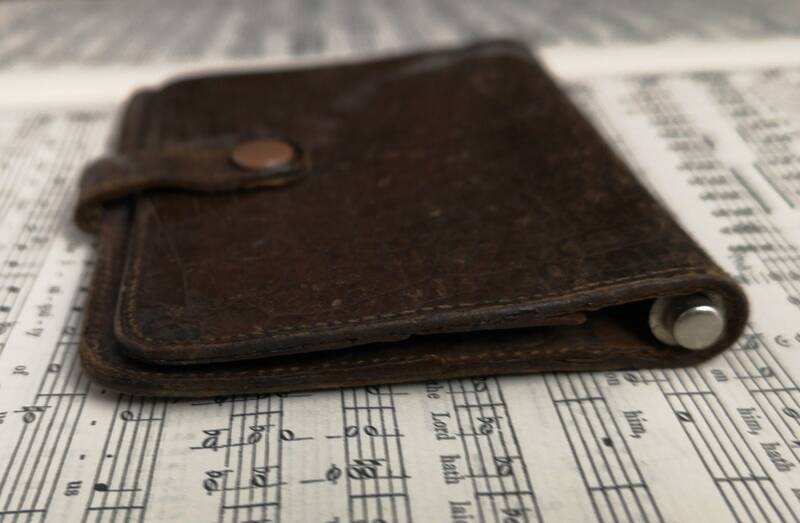 A nice little old vintage wallet with its very own pencil for taking down notes. 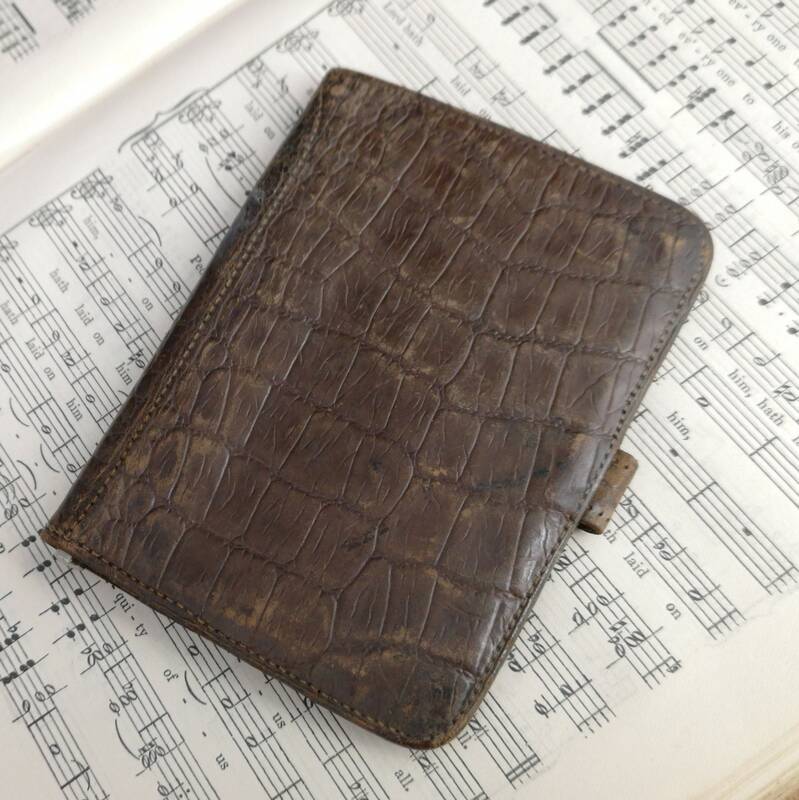 Made in England in the 40s it is made from leather with a mock alligator embossed design. 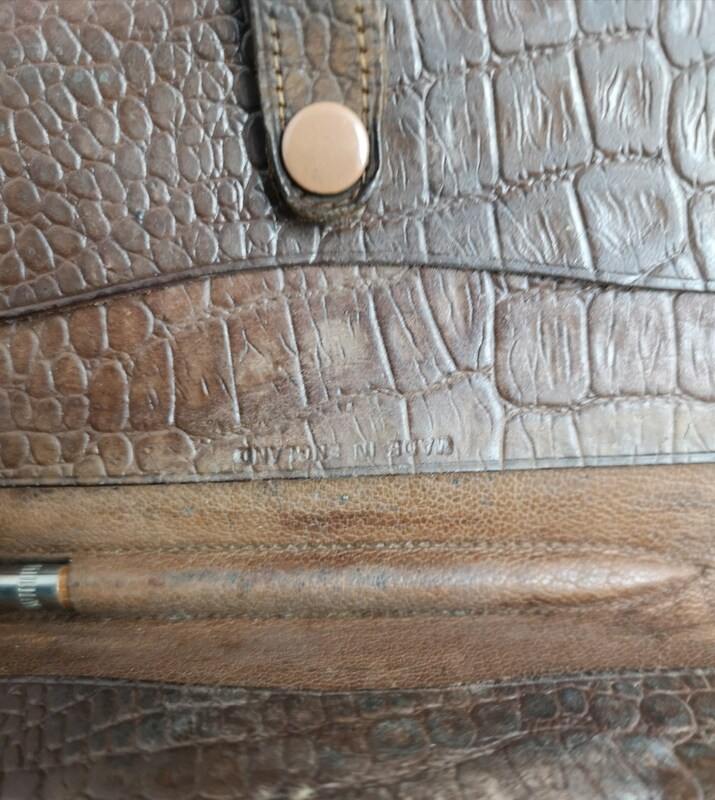 It has a couple of separate compartments inside but no zips or internal fasteners, it fastens on the outside with a single press stud fastener. 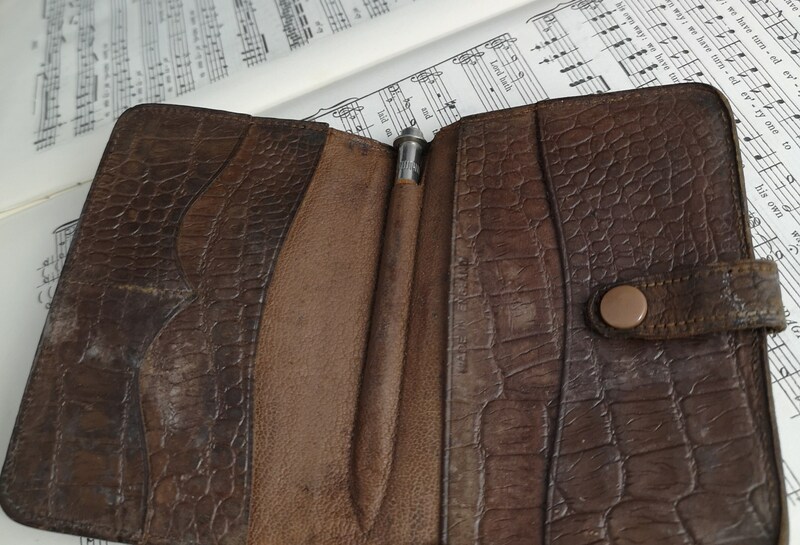 There is a little slot inside that holds the pencil, the pencil is made from wood with a metal cap and is marked; Collins, diary and pocket book pencil. 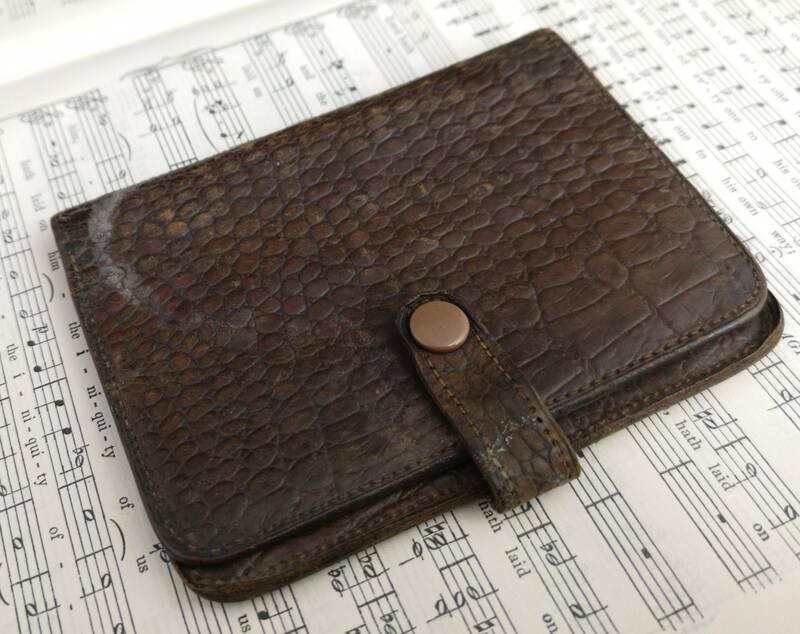 This vintage wallet has a lot of wear and ageing to it, quite a few marks on the front and back but is still a charming piece. 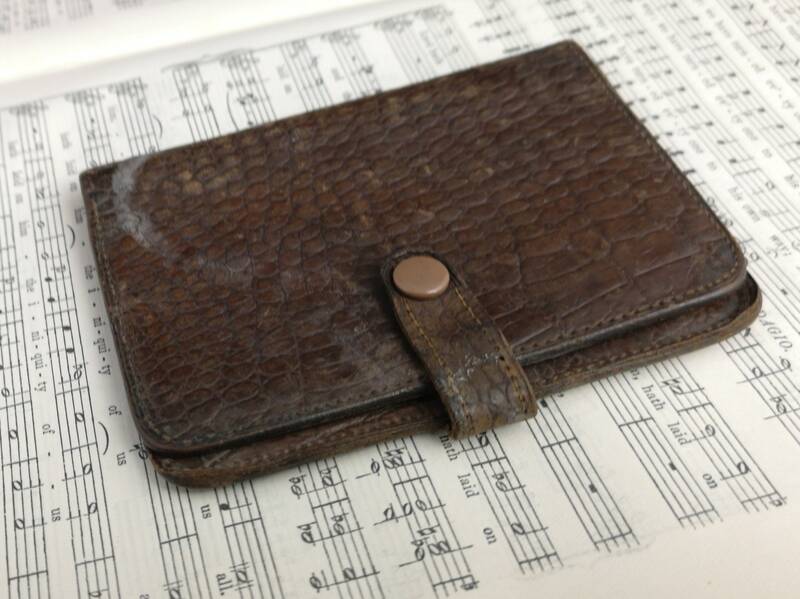 Approx 4" width and 3" height, measured when closed.